Treat yourself with a little sweet. 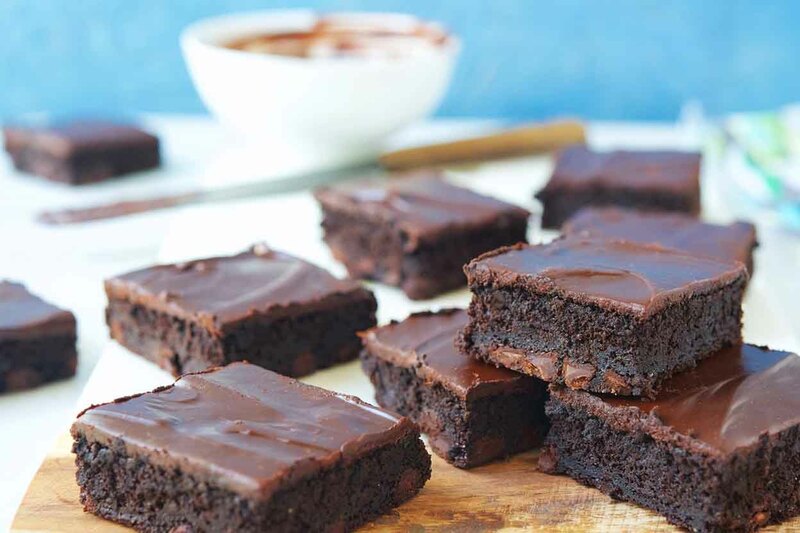 You’ll never guess that these brownies have zucchini in them! Combine eggs, vanilla, sugar, and applesauce in a bowl. Set aside. In another bowl, whisk together wheat flour, cocoa powder, baking soda, and salt. Combine the wet and dry ingredients. Fold in the grated zucchini and chocolate chips until combined. Bake 350-degrees for 35-45 min. Test with a knife; brownies should be moist and very slightly under-done. Knife should not show raw batter, but if it comes out totally clean, brownie texture may closer resemble a cake than a gooey brownie. Store in an air-tight container to retain moisture.